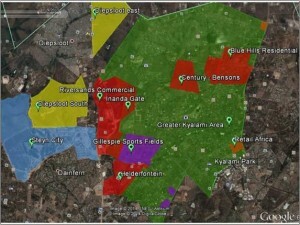 The following have indicated their support and / or have sent representatives to previous meetings: Saddlebrook, Glenferness, Kyalami Ext 1, Kyalami Ridge, Blue Hills Country Estate, Heathcliff Estate, GEKCO, ICB, Peter Gillespie, Century Properties and residents from these areas as well as Beaulieu, Sun Valley, Crowthorne and Blue Hills. This is a public process and all are welcome to participate individually or representing an organisation. Meetings will be held with residents to discuss and give input into the plan. Once a draft has been prepared it will be circulated for comment and when finalised submitted to the City Council as a submission into the Spatial Development Framework. The working team is being led by Rosemary Sandison, town planner and property valuer who was involved in the establishment of Bishop’s Court in the 1970’s where large properties have been maintained increasing in value over the years. Elements considered will be roads, security, environment, equestrian, bridle / MTB trails, community facilities etc. Andrew Barker, town planner and development consultant is being appointed as an independent consultant to facilitate the process. The focus is on providing professional input to residents and gathering as many views as possible. Once a plan is drafted each resident or association can decide whether they wish want to be represented by the submission to council. GEKCO and participating Residents’ Associations hosted a Town Planning session on 11 October 2014. It was well attended with 80 participants including residents, town planners and developers. Kyalami, Glenferness, Crowthorne, Beaulieu, Blue Hills, Sun Valley and Diepsloot. The objective was to discuss the plans for the future of the Kyalami area, which is currently an agricultural area with sensitive wetlands and endangered species and the centre of Equestrian sport in South Africa. Provincial Roads – A meeting was held in February 2014 with the Gauteng Director of Transport Planning to discuss the Greater Kyalami area and concerns about the impact the proposed K56 and PWV road network would have on the environmental and equestrian viability of the area. Current policy states the priorities of the province are public transport, non-motorised transport and specifically rail to deal with the expected population growth. The team suggested upgrading existing perimeter roads (R562, R55, William Nicol and Main) and improving the intersection at Main and R55 to improve the traffic bottleneck, as well as modelling on improved public transport. Last week, the Department confirmed they have commissioned a network modelling study to look at the viability of these suggestions. 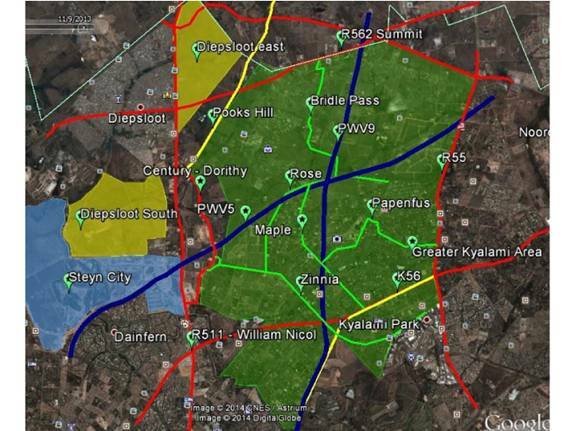 Sewage lines – A meeting was held with Joburg Water to discuss the Crowthorne / Kyalami line and other proposed lines through the area. Maps were obtained showing a proposed network throughout the Kyalami area. These are available for download on the dropbox link. Joburg Water explained that they are often the last port of call as they follow the directive given from Development Planning to provide infrastructure. The community should direct efforts to influencing policy as this is what states the need for the pipeline. A second meeting was held with Joburg Water and the City of Joburg to discuss alternatives to piped sewage or existing septic tanks. A request was made for water quality testing to be done where issues are suspected and a suggestion put forward to consider the area for pilot projects to test new technology. o GEKCO appealed the environmental approval of the line and has just received notice the appeal was dismissed. GEKCO is considering a legal review of the decision. o Concerns were raised that the sewage line would allow densification in the area. o An appeal was made to support the sewage line pointing out issues around the Kyalami Country Club and schools where existing plants are not sufficient and water quality is affected. o A Water Use License application is underway. A meeting has been requested with Dept of Water Affairs to discuss wetland impacts and possible alternatives. Cycle infrastructure – Meetings have been held with JRA and Province to lobby for cycle lanes on William Nicol and the R55. They are currently reviewing the options and limitations on William Nicol and have confirmed they will be included in the R55 upgrade. Green tariff for rates – GEKCO put forward a proposal in 2012 for a reduced tariff for agricultural holdings that maintain open space on behalf of the city. The City was open to the suggestion and tabled this for discussion in 2014. Further discussion is needed should this be considered in the next review of the rates policy. Riversands Farm – Phase 1 and 2 have amended environmental authorisation to allow for light industrial and the City’s RSDF policy has also been amended for the same. Appeals were dismissed and a legal review of the decisions is being sought. The ‘Responsible Development Forum’ has been formed for this purpose. Inanda Fields – (proposed Inanda Gate polo fields) – an application was put in for polo fields on the Inanda Fields property. Diepsloot East – Diepsloot housing project, Environmental Impact Assessment underway. Draft has been circulated for comment. Retail Africa shopping centre and mixed use node – (corner R55 and Main) – Township approval and environmental approval have been obtained. The proposed Crowthorne / Kyalami sewage line is to service and be funded by this development. Water use license application is in process. 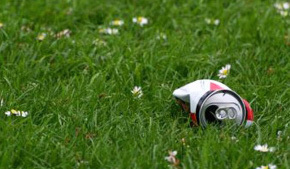 Helderfontein Estate – Environmental authorisation has been obtained. Township approval pending. Objections have been lodged. 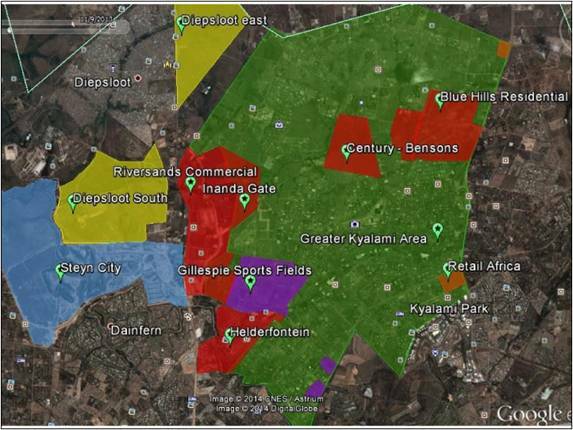 Sports Fields – 155 Zevenfontein (Glenferness) Township approval pending, objections have been lodged. Blue Hills X74 – (corner R55 and Summit) – Environmental authorisation refused, further study required on Grass Owls. Township approval pending. Objections have been lodged. GEKCO gave a presentation on the importance of biodiversity in withstanding climate change and environmental disasters. The conservancy has endangered species and some of the few remaining patches of endangered Egoli Granite grassland. It is vital to understand that the land works as a whole, what is above the ground allows what is below the ground to survive, and vice versa. Wetlands are not only vital to filter water but they also act as a slow release system to mitigate flooding. They are also our banks and investments of water for the dry season. South Africa has very little fresh water and the slow release sponge effect of the wetlands assures a constant supply. Emily Taylor of the Endangered Wildlife Trust spoke about the importance of conserving green areas in the Urban Environment and used the Modderfontein area as an example. It changed from green agricultural land to completely built with no open space in the space of 10 years. The Urban Conservation Project is tracking wildlife in Gauteng and is appealing for sightings to be reported. A large portion of her data and images have come from the GEKCO conservancy. Mandela Day and Human Rights Day clean ups and awareness campaigns have been held in Diepsloot with participation from Kyalami to raise awareness on the importance of a healthy and clean environment. Development Summit – Suggestions have been put forward by the Noweto Business Forum for a Development Summit to look at development in the region and much needed improvements in Diepsloot. Bishop’s Court – a Model for Kyalami? Rosemary Sandison, (property valuation and town planning background) gave a presentation on her experience in Bishop’s Court Cape Town in the 1970’s and how they maintained large properties in spite of immense surrounding Urban development pressures, very similar to what Kyalami is facing now. The community worked closely with the municipality with extensive public participation. They established one of the most unique and valuable property areas in Cape Town. Restrictions were placed in title deeds of a minimum stand size of 4,000 m2 to retain the character of the area. Neighbouring Constantia used a similar approach with smaller stands on the perimeter forming a buffer around larger properties incorporating wine farms. Property prices in Bishop’s Court have doubled in the six years between 2006 – 2012, while surrounding prices have stayed stagnant. The average stand size is 4545 m2 with the lowest prices for vacant stands being in the region of R5 million. There is no upper price as large properties are in high demand with a recent sale for R 60 million. Andrew Barker updated the report from 2013 (attached) and added in new comments and inputs. The input is to form a submission into the City’s Community Based Planning process and ultimately the 2015/16 Review of the Integrated Development Plan for the City. City policy currently supports densities of 120 units per h.a. for properties along the R55 and Summit road. Some of this area is environmentally sensitive. To give an understanding – A Summercon, three story townhouse development is 75 units per h.a. 90 – 120 units is substantially more. Please see the downloads of workshop notes below for more detail. 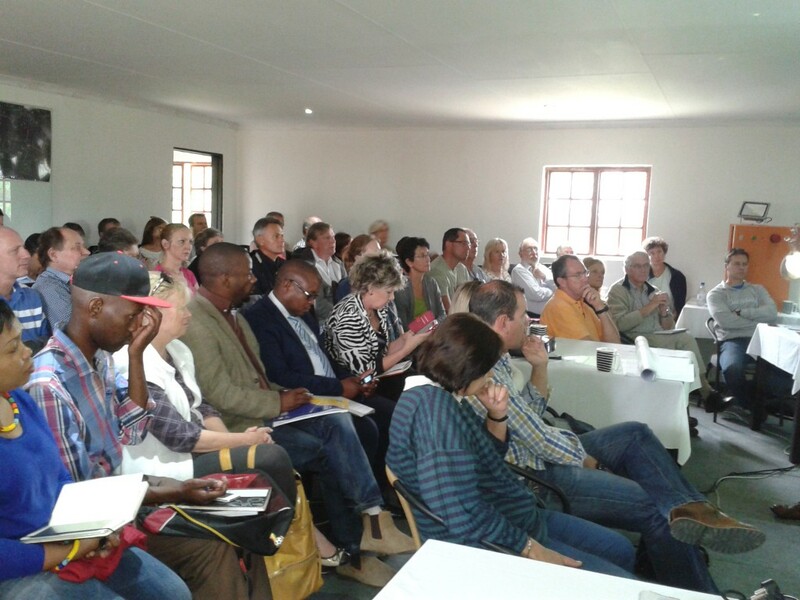 GEKCO, together with Residents associations in Kyalami and Dainfern and individuals from Diepsloot and surrounding areas participated in a scoping session with Andrew Barker, town planner in October 2013. The purpose of this session and future engagements is to give input into the Northern Development Framework, the City planning policy for the area. Task teams were formed to investigate issues around provincial roads, infrastructure and hot spot issues. The City of Joburg initated a Community Based Planning process to inform the 2014-2015 IDP process. The submission below was prepared by Andrew Barker with input gathered at the scoping session in October 2013. A plan was prepared by community members, GEKCO and the Greater Kyalami Residents’ council and presented to members of Joburg Development Planning. This presentation was made to inform the RSDF and future planning in the area. Do you own or ride horses? Your input is vital! We want to be proactive in protecting the integrity of the GEKCO Conservancy– the open space, equestrian industry, and rural character. We need to know what a horse needs to stay safe, thrive and live here. If you know horses you can help by filling in the HORSES' NEEDS FORM. Your equestrian business is under threat! If you employ horse grooms or erect stables, paddock fencing, arenas, own a riding school or saddlery shop, are a riding instructor, vet, own a veterinary surgery or are a feed merchant you WILL be directly affected by the development issues in our area. Send us an IMPACT STATEMENT now! © 2019 GEKCO. All Rights Reserved.